// E'Claire Makery. Guest Designer. Hi maker! 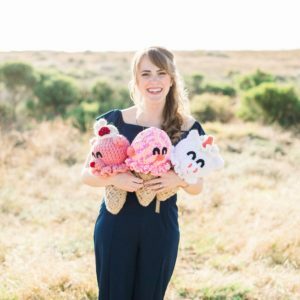 My name is Claire, and I’m the designer behind the crochet blog E’Claire Makery and the E’Claire Makery Video Podcast. 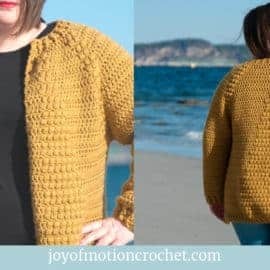 I love creating free crochet patterns, tutorials, sharing business or design tips, and making things to help give other crocheters the confidence to create. 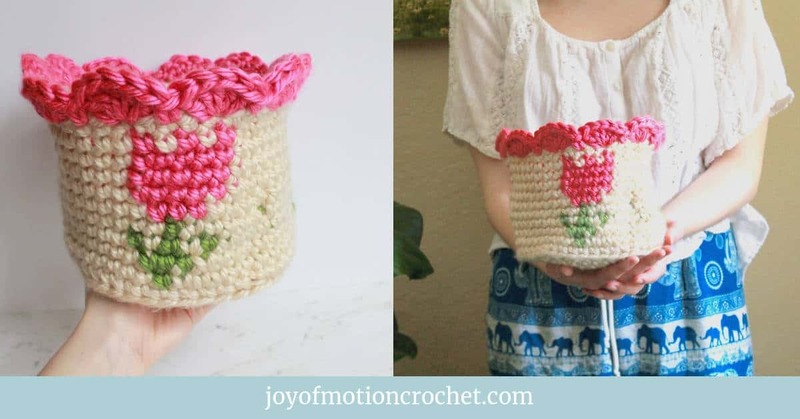 I’m so excited to be on the Joy of Motion blog again, and get to share my newest spring pattern the Spring Tulip Basket. 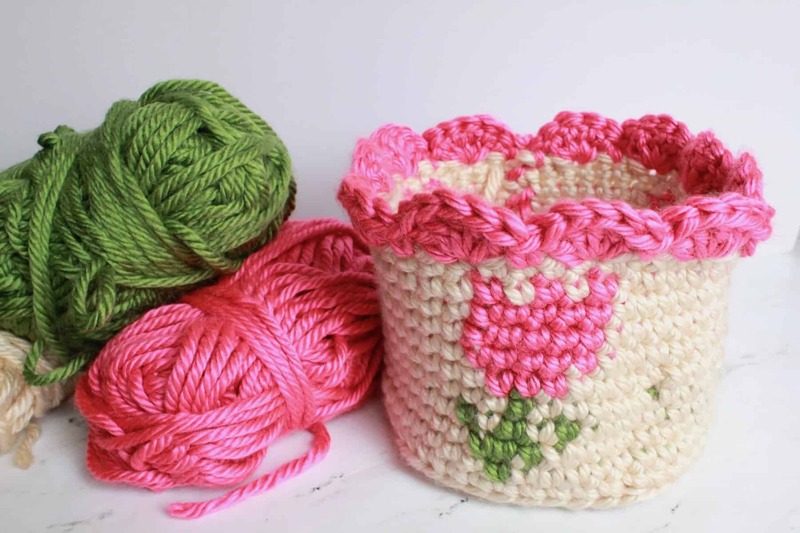 For this project I decided to use a super bulky yarn to give this basket some sturdiness. I chose Lion Brand Hometown USA, which is one of my favorite super bulky yarns and is super affordable. It comes in a wide variety of colors, so the color combinations for this project are endless. 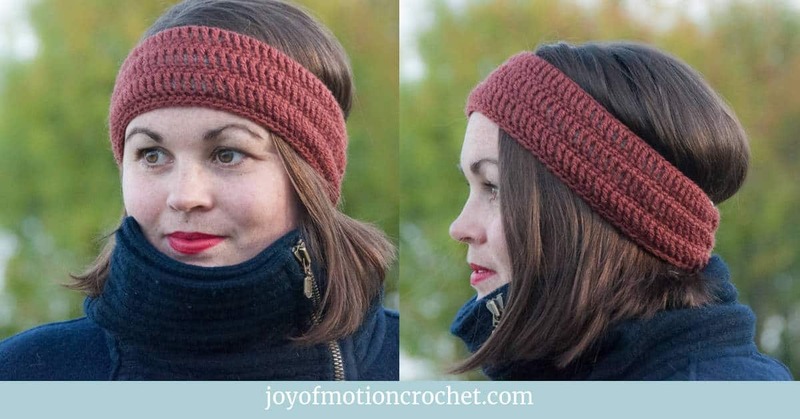 Plus, one of my favorite parts is that since the yarn is super bulky, you can work this project up in no time! 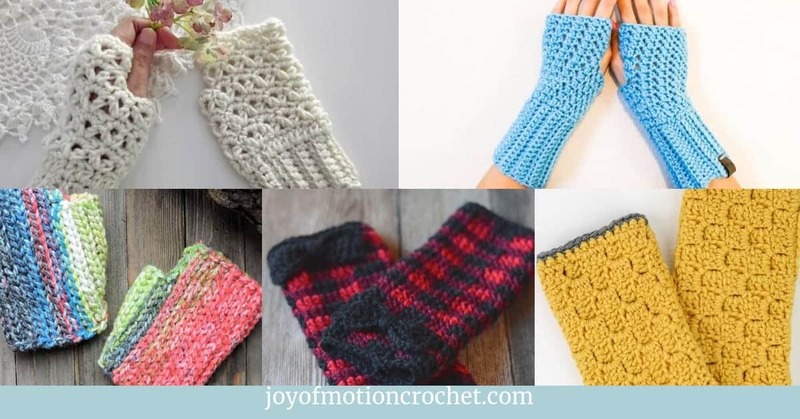 Spring is in the air, and that means it’s time to break out all of the the spring crochet projects! This Spring Tulip basket is the perfect splash of spring to brighten up your home as the season changes. You can make the tulip in any color, or even do it in 3 colors! I recently became obsessed with color work, and have been so inspired to make as many designs as I can with it. 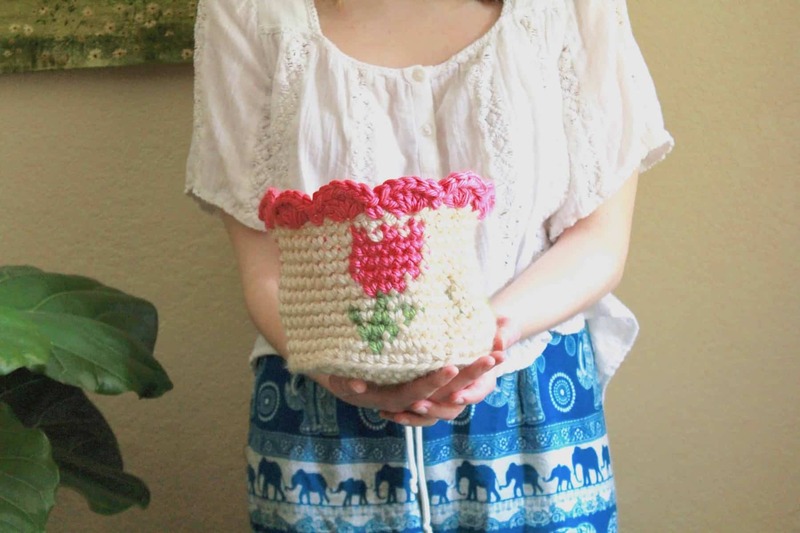 This pattern uses the tapestry crochet technique to create the tulips that accent this basket. As you carry the yarn throughout this project, the yarn creates little hints of color woven into the basket. It makes this even more perfect for spring! Since you like the Spring Tulip Basket, these might interest you too? GRAB THE PDF ON ETSY! 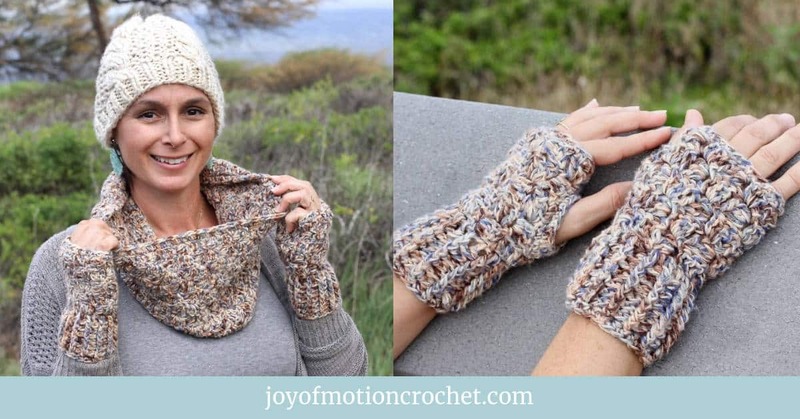 This pattern comes in one size that is perfect for holding yarn, or other knick knacks. 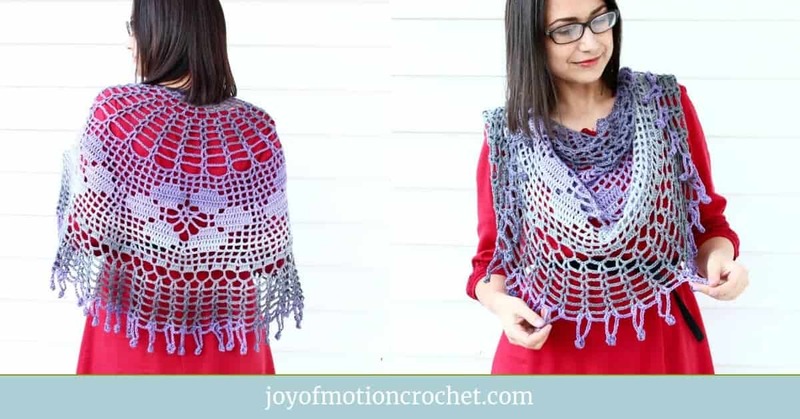 It is perfect to use in spring and summer, and would be fun to make in all sorts of colors! Lion Brand – Hometown USA in color Los Angeles Tan (Main Color), Oklahoma City Green (Secondary Color), Honolulu Pink (Third Color). 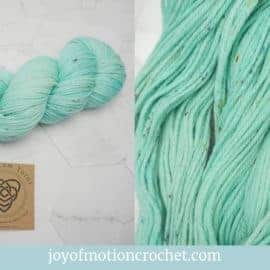 6 weight, Super Bulky yarn. 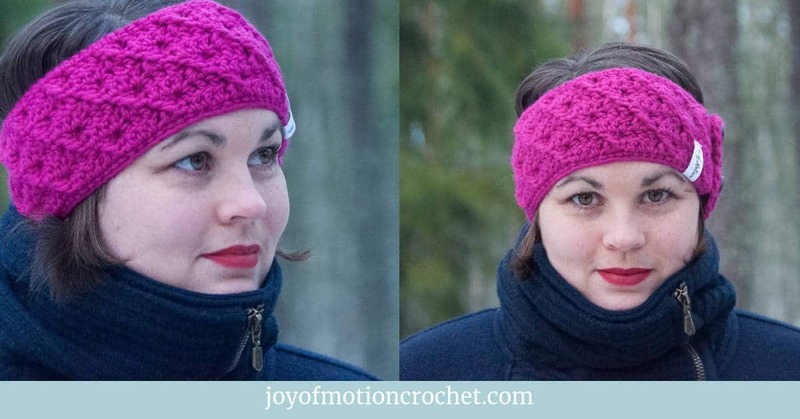 9 stitches & 9 rows per 10 cm / 4”. For a complete color chart of the pattern, you can get it with the pdf version of this pattern. That includes both the written and chart versions of the rest of the basket. 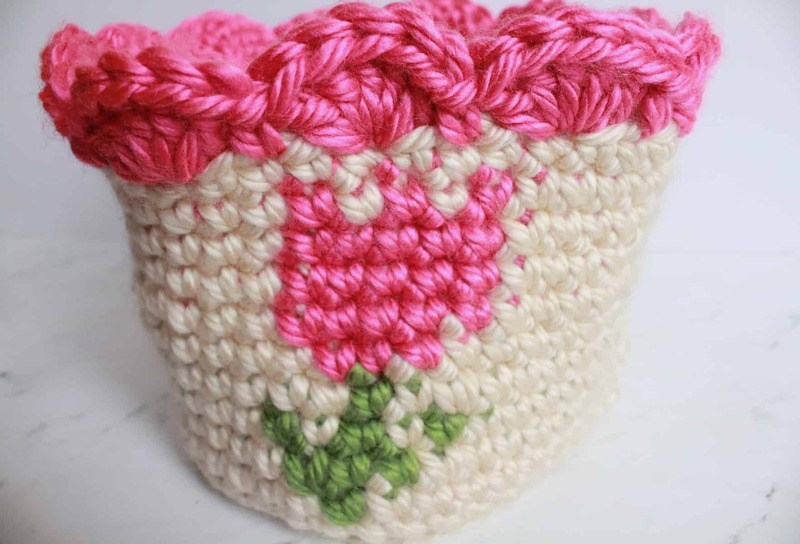 This pattern uses tapestry crochet colorwork to create the tulip pattern on the basket. 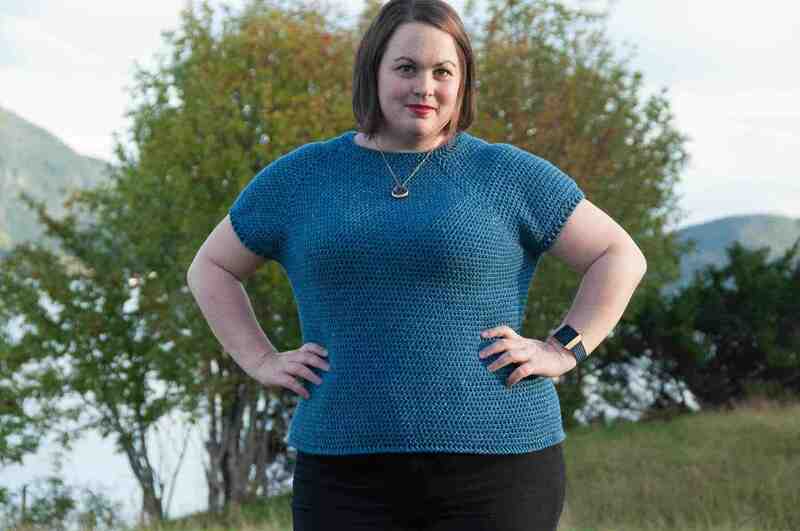 You’ll now be starting the colorwork portion of this pattern. 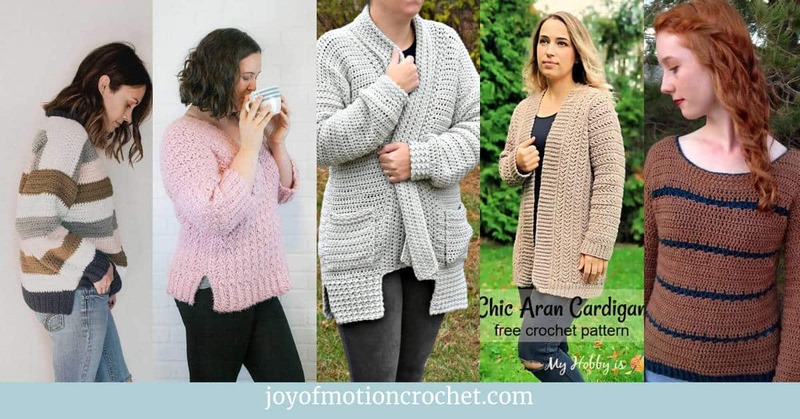 For a complete color chart of the pattern, you can get it with the pdf version of this pattern. That includes both the written and chart versions of the rest of the basket. 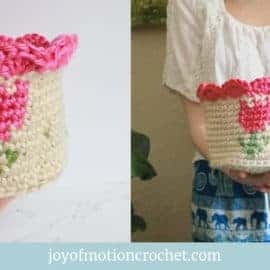 When you’re done crocheting the main part, you’ll finish the basket off with a row of shell stitches at the top with no joining. When you’re done, fasten off and weave in ends. BY GUEST DESIGNER E’Claire Makery! 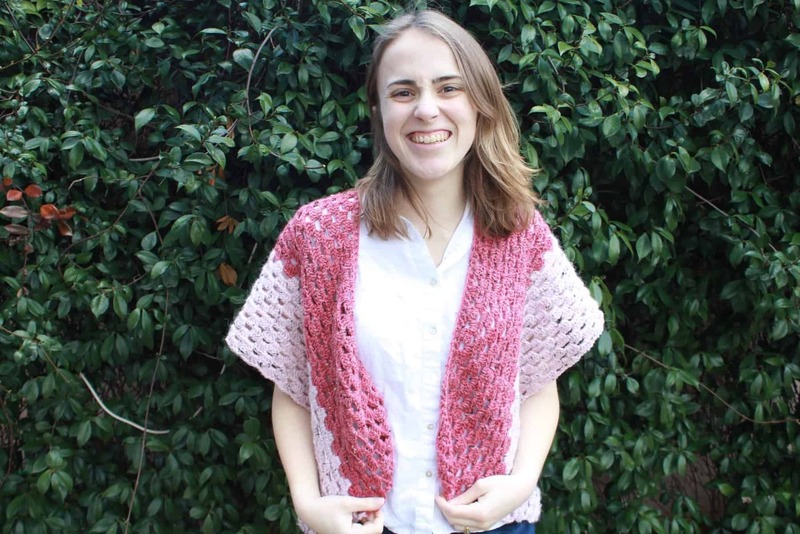 Claire Goodale is the owner, designer, and maker behind E’Claire Makery. 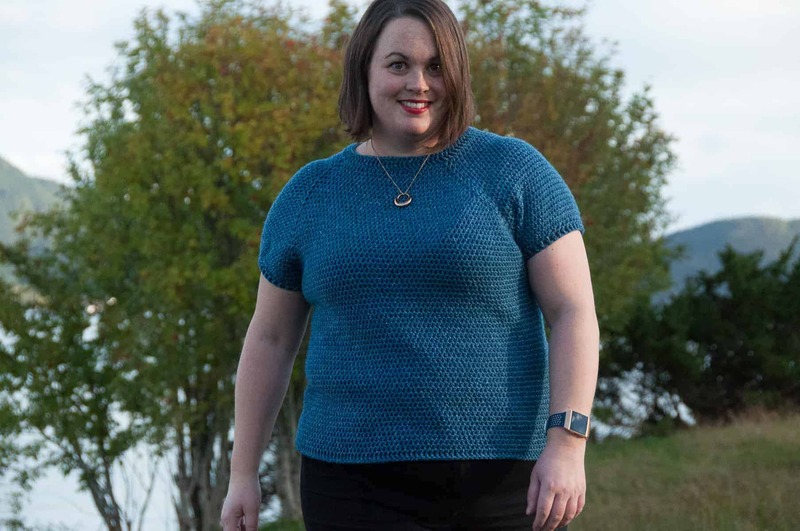 When she’s not obsessing over yarn and coming up with patterns, you can find her out exploring, baking, watching superhero shows, and enjoying her newly married life with her husband Stephen. 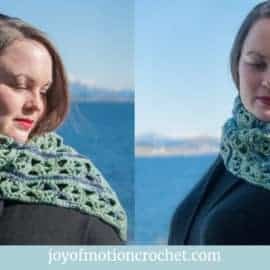 As a maker, her goal is to create patterns, tutorials, and share design and business tips to help give crocheters the confidence to create. I really hope you liked the Spring Tulip Basket! 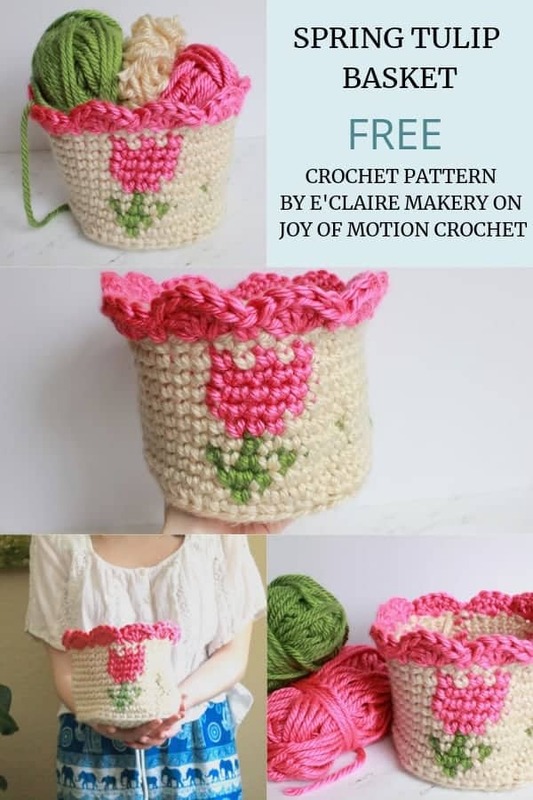 However, if you really like it, make sure to share the FREE pattern & share pictures of you’re Spring Tulip Basket that you’ve made with me. Tag me on Instagram: Take a picture of your project, use #eclairemakery, & tag me! 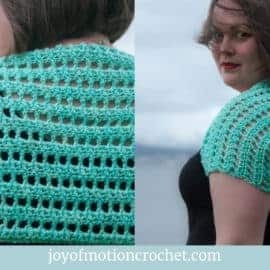 Share this FREE pattern on Facebook.